Normal cosmetic wear and tear should be expected. 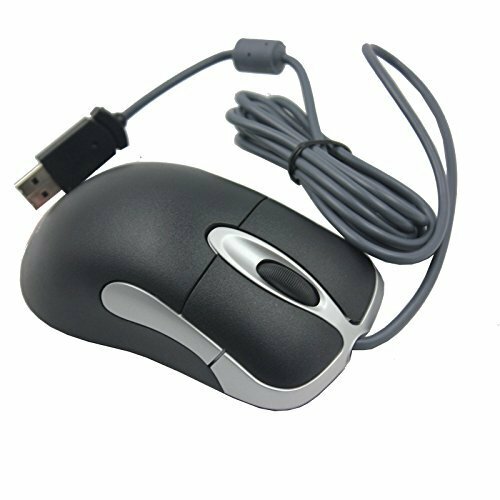 The IntelliMouse Optical is one in Microsoft's family of ball-free mouse products using digital optical tracking technology. Sporting the silver detailing, signature red taillight, and glowing underside made popular by IntelliMouse Explorer, IntelliMouse Optical features a smaller design that is comfortable for both left- and right-handed mouse users. 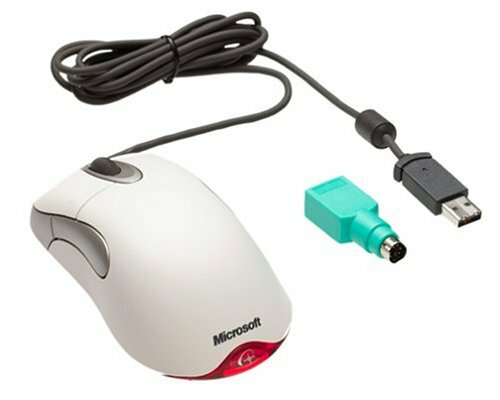 Microsoft IntelliEye optical technology changes the way people use a mouse by removing the ball, thereby providing more control and accuracy and eliminating the need for mouse pads and cleaning. IntelliEye technology provides accuracy and durability by replacing the mouse ball with an optical sensor and digital signal processor (DSP). The sensor captures snapshots of the work surface at a rate of 1,500 images per second, and the DSP translates changes of the images into onscreen movements. The Microsoft IntelliMouse Optical works with both Macs and PCs.